Nikki qualified as a Chartered Physiotherapist in 1983, graduating from Coventry University. She worked in the NHS for 10 years, combining this with some Private Practice, spent a year working at Coventry University as an Associate Lecturer and then moved full time into Private Practice. Nikki spent a number of years working at the BUPA Parkway Hospital in Solihull and then moved to the BUPA Hospital in Bristol (now Spire Bristol Hospital). 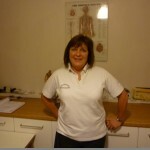 She established Clevedon Physiotherapy & Sports Injury Clinic in 2003. Consultant Physiotherapist to EGU and EWGA. Nikki has gained a wealth of experience working in post-operative rehabilitation, sports injuries and general musculo-skeletal problems. She has undertaken Pilates training with the APPI and incorporates this into her clinical practice on a daily basis: she is also trained in Acupuncture. When not working, Nikki’s interests include all sports (particularly Rugby, Athletics, and Hockey– watching these days rather than participating!). She enjoys travelling, cooking and good food, trying to keep fit at the gym and spending time with her family. Liam qualified with a degree in Physiotherapy from Plymouth University. He has since worked as a rotational physiotherapist gaining experience in a number of specialities (Musculoskeletal, Trauma and Orthopaedics, Stroke rehabilitation, older people rehabilitation, Cardio-respiratory) with a specialist interest in musculoskeletal injuries. While working as a junior physiotherapist in North Devon, Liam also supported the members of Barnstaple rugby football club. He provided rehabilitation and manual treatments during training sessions, but more importantly working with the players to prevent injuries. 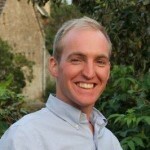 To gain further experience in treating sporting related injuries, Liam has provided post race support at the Plymouth 10k races; treatment for surfers at the Boardmasters competition; and assisted in the London 2012 Olympics working with professionals encouraging people to try new sports. Since moving to North Somerset in 2015, Liam has been introduced to new sports, and new sporting injuries. Most recently he has rekindled rusty horse riding skills thanks to his partner’s horse, which he plans to carry on with alongside running. When not at work Liam enjoys socialising, good food and exploring the local area. I am a Sport and Exercise Science Graduate (2014) and I have worked as a Sports Massage Therapist and Level 3 Personal Trainer for 2 years. I have worked with a wide range of people from elites, extremists and enthusiasts. Focusing on sport specific injuries and general day-to-day aches and pains. Sessions could be specific or non-specific and will involve a short assessment followed by lengthy massage techniques: including deep tissues and myofascial release techniques which focuses on rigid areas of muscle and tendons. Clients can request specific areas to be focused on such as stiff necks or sore backs. Following the session, take home care, advice and exercises/stretches will be given. Courses (within 6 months): SOC Orthopaedic, RFU Pitchside trauma care, Acupuncture, The Hip-Explained. Nicole trained at Plymouth university and gained valuable experience working in a private orthopaedic hospital. 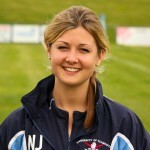 With a keen interest in the sporting athlete she has begun to specialise and has been involved in UK Boardmasters, the Special Olympics and in her spare time works for Newbury Rugby Football Club. In addition to treating general sporting injuries Nicole enjoys supporting patients back to previous levels of mobility and allowing patents to gain confidence to live independently or return to work. She has previously worked with children which involved teaching toddlers football and enjoys creating effective but fun rehabilitation programs for them. When not at work Nicole can be found wakeboarding, surfing or enjoying a drink with friends. Pro Active Training Sport Massage Therapy Qualification (University South Wales). I work for the NHS in the Bristol Royal Infirmary Orthotics Department, and I am a rehabilitation support worker for Sirona Care. I provide exercise programs and deal with patients with various injuries or illnesses on a regular basis. In my spare time I concentrate on my fitness and socialise with friends.